Flood Damage Cleanup | Floods are a big issue when there is extreme area around your home and property. Flood waters can damage your home and destroy your personal items. No matter what part of the world you live, you are not sheltered from a potential flood. After a flood occurs you are likely to need the services of a professional flood damage clean up company. Companies like these specialize in water removal and do their best to save as many items as possible. If you do experience a flood in your home there are a few places that are more likely to flood than others. Here are the top areas to flood after extreme weather or after equipment failure. Bathrooms are one the top areas in your home that are susceptible to flooding. Bathroom flooding is often caused by equipment failure or just our neglect. There are a lot of pipes that run through a bathroom, whether they be for the sink, bathtub/shower or toilet. One example is, a clog in one of the pipes that causes water to back up and leak over the bathroom. Another example, is simply forgetting to turn the water off and it overflows throughout the bathroom. Basements are another very common place for flooding, mainly because they are on the bottom level of your home. Basements also house a variety of water pipes that can burst when they become old, frozen or backed up. Another way that basements flood is by cracks in the foundation or walls. These cracks can allow water to leak in especially after a heavy/extended rainfall. Another common area in your home for flooding is the attic. The attic is the highest level of your home and located directly under the roof. 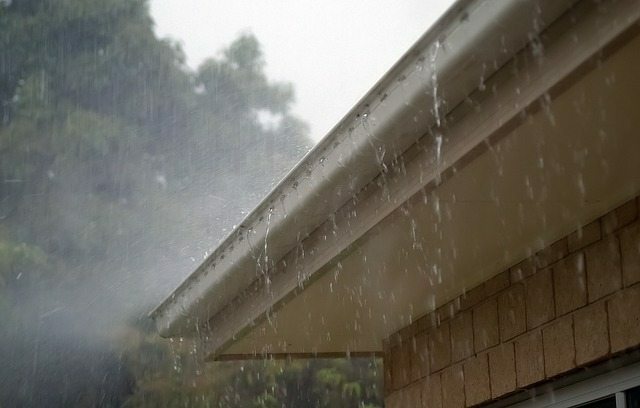 If a roof is not well maintained it will likely develop areas that leak over time. Also, severe thunderstorms, tornadoes or hurricanes can cause damage to your roof. This will in turn allow water to come in and flood your attic. Flooding can be a real pain and cost you a lot of money to fix the damages. After experiencing flooding in your home you should call professionals for flood damage clean up. By calling professionals you will ensure that all the water has been removed and the risk for mold has been greatly reduced. ServiceMaster of Charleston of is a premier water damage clean up company that can handle even the biggest flood damage clean up.